If you’ve been looking for Elmer’s glue at your local Target or Michael’s and the shelves have been empty, well, I can tell you where all the glue went. 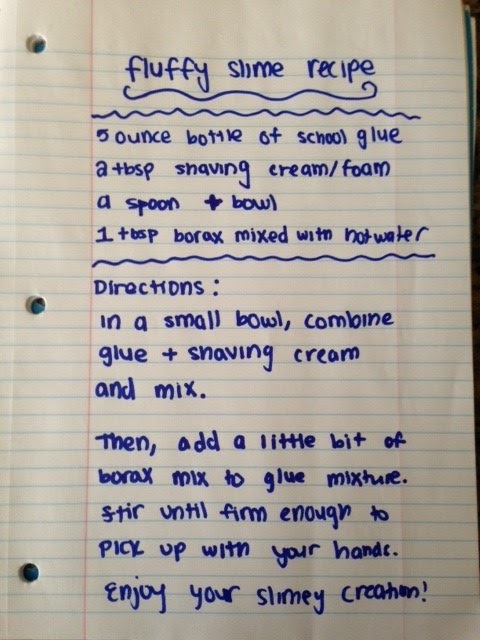 Can’t find Borax either? Yup. I know where that is, too. How do I know? Because it’s all at MY HOUSE! 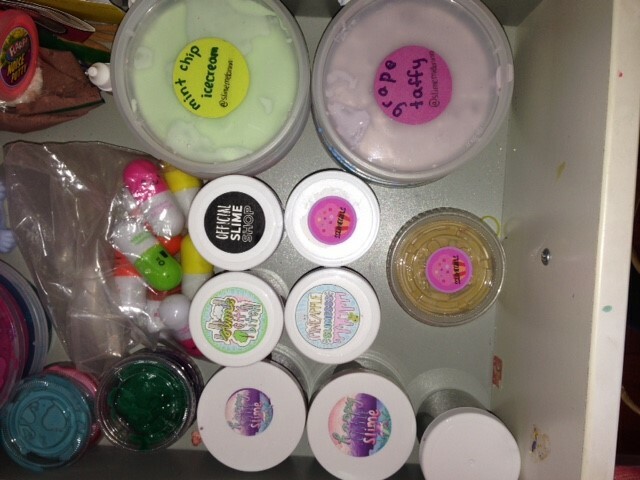 We have suddenly turned into a thriving slime business thanks to my daughter, aka sslimegirls. And I am here to say that Slime 2.0 is badass! From the colorful and creative possibilities to the captivating smells, today’s slimes will make you feel like a creative super hero. 1. You will be happier taking a technology break and having old school fun! I consider myself to be an incredibly lucky parent. Why? Because instead of spending her time watching TV, perusing YouTube videos, taking endless selfies or doing who knows what else, my daughter has caught on to the resurgence of slime and she’s kicked it up a notch. But this slime is not even close to the original gooey, green stuff I remember as a kid. The original Slime, created by Mattel and sold in mini plastic trash cans, was a green drippy, oozy slippery gel that creeped between your fingers, like some old ‘60s horror movie. Let’s just say, I wasn’t a huge fan, but the 2017 version of slime is anything but plain, gooey green. Anything goes when it comes to what my daughter can create and imagine with texture, color and smells. Now, I am witnessing slime 2.0 daily. Our house is a slime lab, and I must say it’s off the charts wildly creative! I’ve seen my daughter blossom into a chemist, a no-recipe, go with- the-flow innovator, who thrives on bringing her own personal creativity to the development of new and interesting slimes with varying consistencies, smells and colors. Sslimegirls is gaining followers and growing rapidly in a competitive slime business. 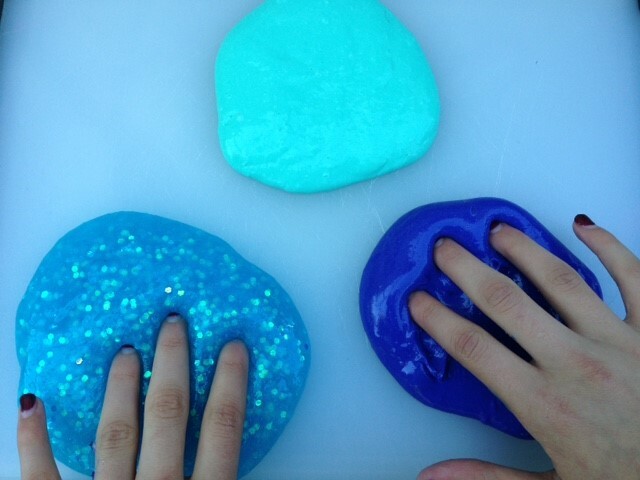 Kids across the country are making slime videos and posting their colorful creations. If you haven’t noticed, Elmer’s glue is now promoting their gallon-sized products featuring adorable kids creating slime in an array of vibrant colors. Slime is back again, and in full force! On a Saturday night, you can find my daughter creating a huge tub of slime alone or with a friend, and enjoying the thrill of creativity and good old-fashioned, han ds on play. She might also be making a slime video or packaging up items to ship out to a new customer. Instead of being boy crazy (Phew! ), she’s slime crazy! Her drive to create new and unique slimes, and purchase other kids’ slimes, quickly influenced her to start her own business with a friend. 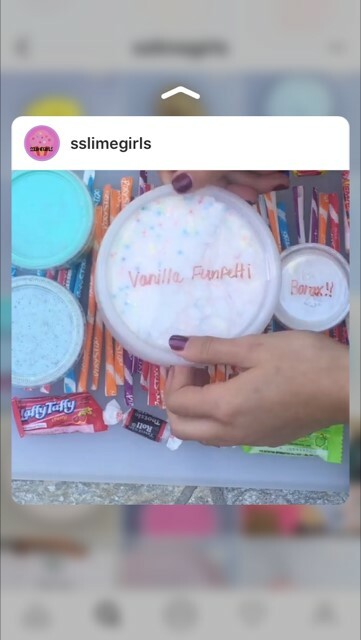 They called it sslimegirls, and even though her friend left the business to focus on school, the original name is still going strong. 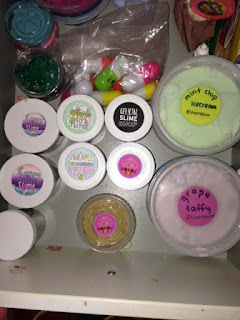 Some might ask, “What is there to learn from creating a thriving slime business?” Considering the endless amounts of glue and other supplies we were buying, I seized this opportunity and helped turn my daughter’s passion into a learning experience. 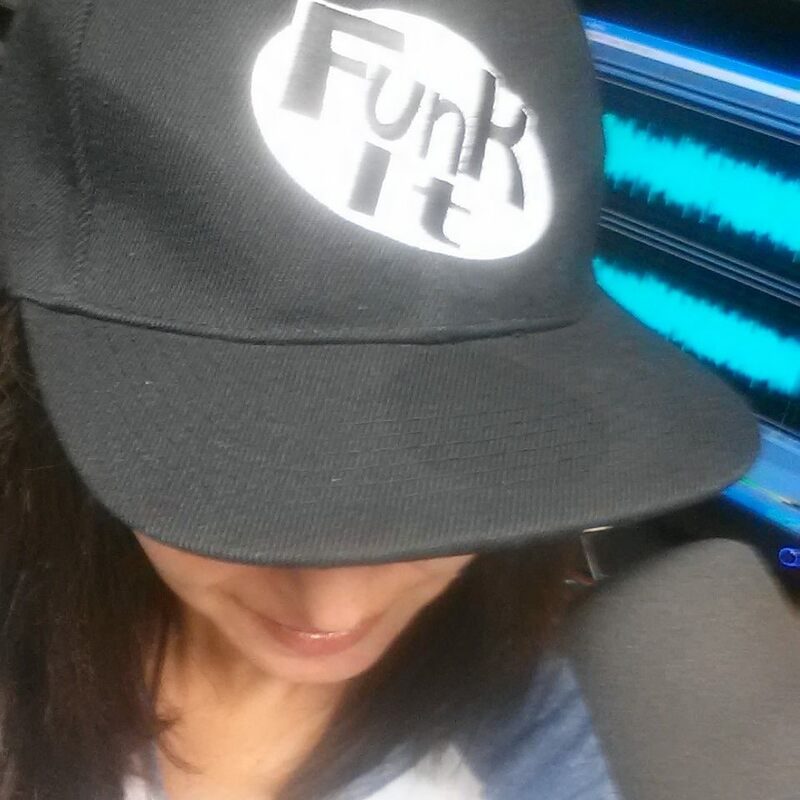 She logs all her expenses, from supplies and shipping costs, and tracks her sales diligently. She now understands that we can’t just keep on creating product, and buying gallon sized containers of Elmer’s glue, unless there is a demand for what she is making. Plus, she has learned how important it is to treat her customers with kindness and respect, and the power of video marketing and product packaging. The packages she receives from other slime sellers across the country, include beautifully handwritten notes and extra perks, such as candy, stickers and toys. She has made mental notes on what to do and not do when it comes to marketing, promotion and building a customer base. 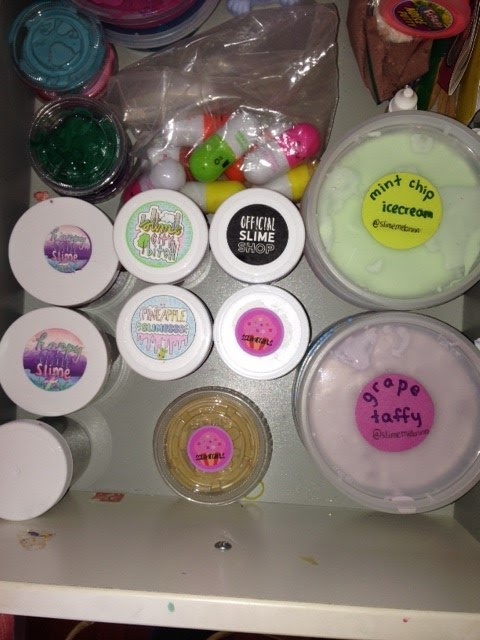 I finally gave sslimegirls a designated area and shelving unit in the laundry room, because slime was taking over the dining room (and it wasn’t pretty). Being organized and keeping tabs on your supplies and inventory is an important part of sslimegirls, and any business. 4. Writing letters, the way people used to (in the dark ages), before there was email and texting is more exciting than you think! 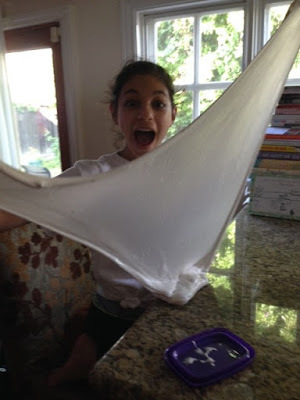 When I see my daughter sprinting with excitement to the mailbox to see if any slime packages have arrived, I think back to my days running for the mail, too (except I was trying to intercept my school grades before my father saw my D’s). I would be just as excited at her age to have packages showing up at my doorstep. The handwritten notes she receives are reminiscent of my days having pen pals or just writing letters to camp friends throughout the year. How many kids do you know who write letters anymore?! Probably not many, because most kids send texts and emails at most. 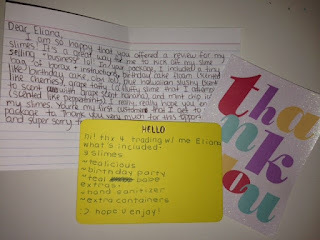 I can feel my daughter’s excitement as she receives slime packages, thoughtful handwritten notes, candy and small ‘squishy’ toys. She carefully reviews products for free and posts her reviews on Instagram, which has become a booming hub of slime excitement and creativity. If a slime shipment arrives and the contents are not carefully sealed, she receives an oozing mess. From these shipping mishaps, my daughter has learned what not to do, and how to improve her business image and product. Sslimegirls sells her slime online through her Etsy store and markets, sells and reviews slimes on her sslimegirls Instagram account. 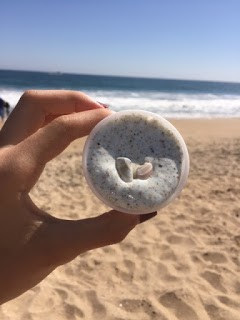 Her products now include beautiful packaging, adorable logo labels, handwritten thank you notes to the buyer, and of course, extra perks like candy and a small squishy toy. 5. Bridge the gap between your kids and senior citizens…with slime! Incidentally, the biggest learning moment from all of this slime creation is that slime is not just for kids. That’s right. You heard me correctly. I am not talking about adults taking a monetary interest in slime, because there are adults making and selling, as well. I am going one step further. And here’s how we proved our point. 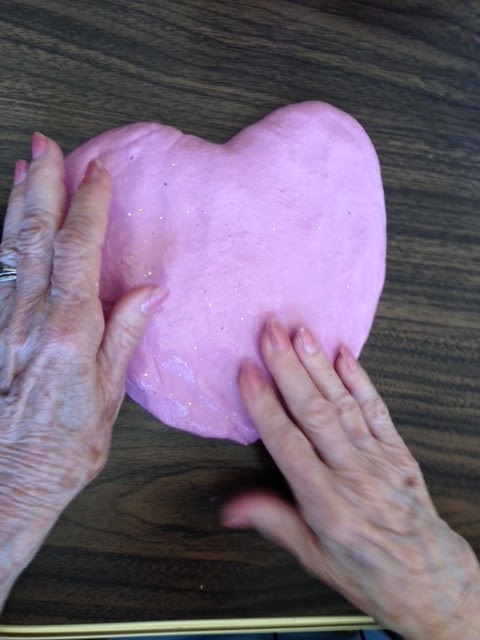 We introduced six different slimes to our 98-year-old friend, Hanna, and here was her reaction: pure joy, playfulness, creativity, excitement, and an opportunity to get her fingers moving, because she has arthritis. Hanna was completely surprised at just how much fun she was having and how interesting slime was. 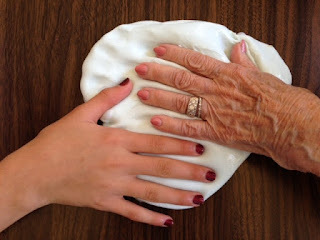 Sslimegirls made her day and we had even more to talk about while playing together with slime. We make it a rule to never be on our phones when we are with Hanna. There is no reason to be, unless we are sharing some photos with her. As a society spending most of our time heads down into our electronic devices, many people don’t know how to interact and converse anymore. We are too distracted, too hooked on technology and less focused on what really matters: the real moments right in front of us. There is no replacement for quality time and meaningful connections. And we don’t need to capture every moment on our phones. Let’s just imprint them in our minds and hearts. Want to make your own slime?